The University of Connecticut School of Law is one of the leading public law schools in the country. Its campus, listed on the National Register of Historic Sites, is probably the most beautiful of any law school in the United States. The newly-completed law library is perhaps the finest facility of its kind in the world. Two miles from the center of Hartford, the Law School is located in a neighborhood of large Victorian homes, where many students, staff, and faculty live. Founded in 1921, the Law School is accredited by the American Bar Association and is a member of the Association of American Law Schools. It offers a professional education of the highest quality that prepares its graduates for a lifetime of fulfilling service in any career they choose, including the bar, government, business, and education. The School's program emphasizes intellectual discipline and the development of the professional analytic skills required to respond effectively to the challenge of continuing change in the law and in the society it serves. The University of Connecticut School of Law is located in Hartford, the state’s capital. The institution boasts all of “the resources of a large, public institution with the feel of a small, private school.” The low in-state tuition is great for Connecticut residents looking for a deal.The program has cultivated a “strong relationship with pretty much every firm/agen­cy/government office in the state,” though most students warn other law school appli­cants who are looking to practice outside of the state upon graduation to do their research. Career Services at UConn Law has a reputation of being “Connecticut-oriented” and “most of the recruitment is self-selecting/self-motivating,” says a 3L. The administration here is “excellent, very accessible, and very responsive to student needs and concerns.” With the exception of the required curriculum, most students find professors to be “approachable” as well, says a 1L.Once students reach the higher-level courses and specialties, they engage with teachers who possess valuable field experience and provide more practice-oriented instruction to prepare students for their career ahead. “I really get the sense that no one wants me to fail,” says a 1L. “Many of the professors have been in the state for a number of years, and many of the lawyers and judges in Hartford, and Connecticut more generally, are alumni, which make opportunities for internships/clerkships very accessible,” says a 2L. Overall, many students feel that they have the faculty’s full support.“The University of Connecticut offers a unique program, which allows students to spend a semester working at a federal agency in Washington, D.C. While participating in the program, my fellow classmates and I had exclusive access to the White House, Pentagon, and other various high profile Washingtonian landmarks,” says a 3L.Some students yearn for more evening classes while others just wish for “more classes” overall. In contrast students see the program’s opportunities for specialization as its “greatest strength.” One student sees this manifested in “the ability to conduct your own research project, as well as [to] compete in trial and appellate competitions across the country and conferences around the world.” However, one aspect of the school that students can agree upon is their love of the clin­ics offered on campus. “With a little work on your part it is relatively easy to get an extern­ship experience that looks fantastic on a resume. Attorneys that I talk to look to see experiential learning and UCONN gives you that opportunity,” says a 3L.The recent renovation of the school’s library has done much to enhance the productiv­ity and esthetic of the UConn Law campus. “The library is absolutely beautiful and we have access to every resource imaginable. The library staff is very friendly and knowl­edgeable. The classrooms were recently updated and the courtrooms are impressive,” informs a 3L.Students gush about the school’s “historic look, with a modern interior.” Buildings have “state-of-the-art research capabilities and plenty of private study areas with full Internet access at every desk.” “In my last seminar class, the flat screen television started ringing and we began a satellite conference call with someone in England,” says a student. JD/MBA, JD/MLS, JD/MPA, JD/MSW, JD/MPH, JD/LL.M Insurance Law. Each dual degree program is four years full time. 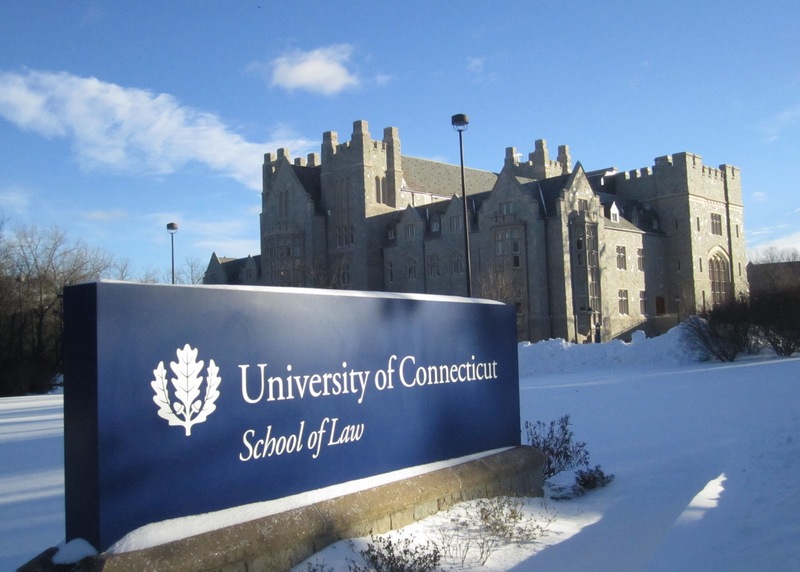 Want more info about University of Connecticut School of Law? Get free advice from education experts and Noodle community members.